Contact Nathalie for more information! Seven days of rejuvenation, adventures, new and old friends, fantastic food, in beautiful Umbria, Italy. In this retreat we will have daily vinyasa yoga practice, guided runs and hikes, meditation, journaling and afternoon workshops : including chakra healing practices and how to align ourselves with a higher purpose to achieve the life of our dreams with our most authentic Self. A fantastic week in a magnificent part of our Planet in which I am thrilled to explore with you! ” Our retreat will include going deep into the journey of the Self with the highest S, through journaling, meditation and chakras workshops I will guide you into deeper layers of awareness tapping into higher frequencies to be awaken through y by you! Anyone can come! Anyone who wants to embark on a fun adventure in Italy. Yoga knowledge is not required. Yoga practice during this retreat is optional and not mandatory. We will have an expensive program for all likes! Other activities will also be available throughout the week such as horse riding, cooking lessons , wine tasting, tours, massage, and more! Nathalie focuses on prana flow, breath and alignment. Nathalie is a yoga teacher and trainer with a 200 and 300 Hours Yoga Alliance Registered training school and has led many adventure retreats around the world. Yoga teachers may use the time in the retreat as continuing education for their 200 and 300 Hours certifications with YACEP. (continuing education) – a certification for this program will be provided upon student’s requests. 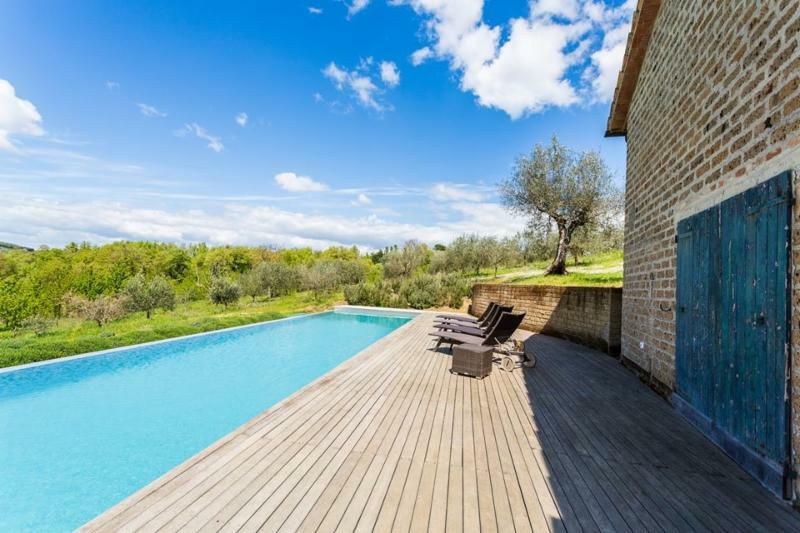 Set within the gentle hills of Umbria and touched by the scented winds of the Apennines, Caimeli is composed of a large manor house dating back to the 18th century and a smaller farmhouse. Each farmhouse is a mix of modern and traditional with a high degree of elegance and comfort. The interiors were renovated faithfully to reflect the Umbrian tradition of wooden beams and terracotta floors. Both, the villa and the guesthouse have wonderful views of the olive groves and the serene rolling hills of the plantation. The villa has been painstakingly restored to its original splendor of the 19th century. It is furnished according to the dictates of elegant sobriety, the choice of the terracotta floors, the warmth of the wood and the neutral colors of the interior all reflect the grandeur of the villa. The villa is composed of 5 bedrooms and 3 bathrooms which can accommodate 10 persons. This is an intimate and peaceful cottage on the property that has been fully restored to its original charm. The casale is composed of 2 bedrooms and 2 bathrooms and can accommodate 4 persons. Indoor 65 sq. meter studio with a wooden floor. Set amidst acres of olive trees and green mountains it is no surprise that most of our guests spend a large part of their experience outdoors. 17 x 4 metres, and for the children a trampoline and balance lines. Circumventing the property, we have hiking and running trails galore for the beginner to the experienced. For the indoor person we could entice you with individual cooking, language, or even yoga classes for your enjoyment all by appointment only. The area around Caimeli is called “The Alte Tevere” which is stepped in history and culture. Caimeli has a myriad list of unique tours and adventures, which could provide you and your family the perfect opportunities to explore. 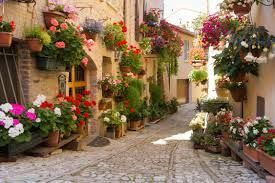 Whether its shopping, visiting hill top villages, or hiking through Monti Sibilini you are sure to find one of our many activities satisfying to your thirst for adventure, culture or even relaxation. We will direct you to the prestigious luxury brands in our area; Prada in Montevarchi, Brunello Cucinelli in Solomeo, Unoaerre in Arezzo and Vestri in Arezzo. If it is antiques , then we can suggest a trip to the antique market in Arezzo (1st week of the month; Saturday and Sunday). Why not spice up your holiday in Umbria by taking the opportunity to prepare some authentic, seasonal Italian dishes. We offer cooking and cheese making classes. We can offer you a wine tour to the famous cellars of Montefalco; Paolo Bea, Tabarrini, and Scacciadiavoli or Montalcino; Avignonesi or Caparzo or even Montepulciano; Poliziano, or Salcheto. Mountain and Road Racing Bikes on request/availability. Horseback riding Center is located 20 minutes away for both English and Western style. They also organize excursions, trekking from 1 to 3 days, a riding school with certification and pony games. Indoor and outdoor tennis courts are located in Umbertide. Lessons are also available by appointment. 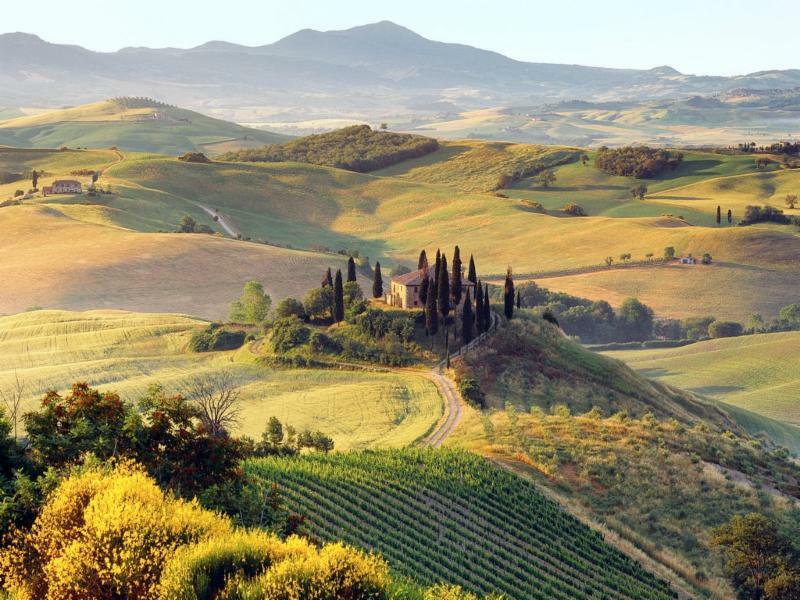 Whether you prefer the churches, museums or even Etruscan excavations we have all of it in Umbria. We can arrange tours based on your interest or we can suggest and create specific tours for you with a private driver. Join your top-tier yoga instructor for an incredible week of relaxation and rejuvination at La Calma. With expert instruction, fresh, locally sourced cuisine, daily beach visits, cenotes (underwater caves) to explore, and loads of other activies, this trip is the perfect way to relax and re-energize. Join us in Tulum, Mexico. One of the most amazing beaches in the world. I am very excited about this upcoming retreat in Mexico, Tulum. Just this past year I was in Tulum twice and I fell completely in love with it. One of the most beautiful beaches in the world. Join me in May, 2014, for a fantastic trip to the Yucatan Peninsula, on the Caribbean Sea, discover the Mayan Ruins and Temples. Tulum was one of the last cities inhabited and built by the Mayans. Explore the Pueble (town), cenotes, jungles and archaeological sites. Daily vinyasa yoga practice in the mornings, our own personal chef, property on the beach. Less than 2 hours flight from New Orleans. 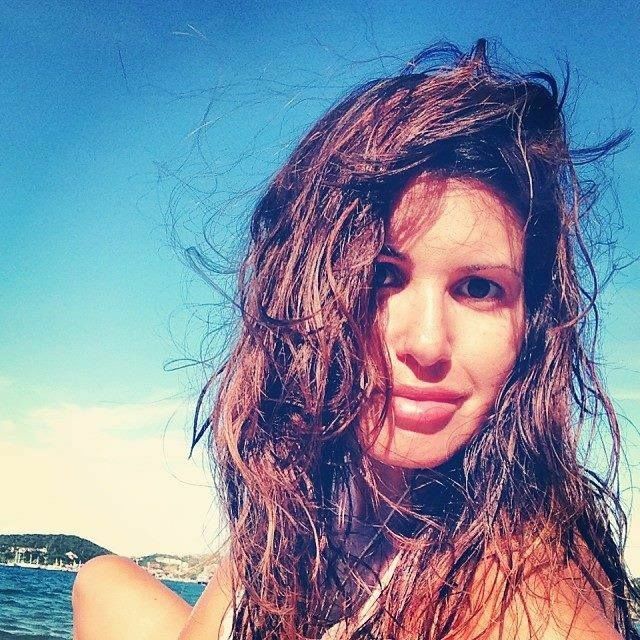 Nathalie is 500Hours E-RYT Yoga Alliance Registered Teacher. She is certified in SmartFLOW by her mentor and teacher Annie Carpenter. Has an undergrad in Dance Kinesiology, having danced and toured for many years in Europe, the US and South America. Nathalie began her yoga training over 10 years ago with Sri K. Pattabhi Jois, her first teacher, who she studied from in India on several long trips as well as during Jois world tours. While in India Nathalie studied transcendental meditation (TM) with professor Narasimha, who is a direct disciple of Maharishi Mahesh. Come relax on the magical and pristine island of Maui for a week of transformation and rejuvenation while deepening your yoga practice, swimming in the ocean, horseback riding through unspoiled landscape, touring volcanos and medicinal gardens, taking beautiful hikes, sitting in meditation and enjoying delicious organic foods. Melanie and Nathalie have a long history of working and playing together, from trips to India and Brazil to extensive yoga training and practice time. Melanie will teach traditional Ashtanga classes and Nathalie will teach Vinyasa Yoga classes. Together they will lead the group through dharma and sutra talks and immerse the group in aspects of yoga and asana that daily life does not leave much time to explore. The week includes accommodations, two yoga classes a day, breakfast and dinner. The Early Bird cost is $1500 per person based on a room with double occupancy. Early Bird if paid by July 25, 2012. $2200 for a single occupancy room. If you choose to stay in a double occupancy room we will assist in pairing the rooms to best suit your needs. * Reserve your spots soon! Space is limited. We hope you will join us for an unforgettable retreat to cap off your Summer!! Come join us in an environment of peace, beauty, reflection, acceptance, joy and fun. Journaling, guided and process meditation, yoga, breathwork, and self-reflection will be available in a relaxed format to experience your desired outcome. The retreat will be held in the beautiful surrounds of the Retreat Center at St. Joseph’s Abbey outside of Covington, LA. This wonderful retreat begins with registration at 9:00am on Thursday, December 30, 2010 and concludes on Saturday, January 1, 2010 around 3:00pm. An all inclusive price of $385.00 non-refundable must be paid in full by December 17, 2010. After December 10th, please call to inquire about availability. All sessions, meals, private room and bath are included. Enrollment is limited. For more information on St. Joseph’s Abbey please click here. Paulette Lucas and Jack Anthony Fontana are the facilitators. This is a special opportunity to practice with an established master of Ashtanga Yoga. Read more about Tim here. The workshop is open to to all yoga practitioners. 6:00 – 8:30 pm A discussion of the Yoga Sutras focusing on the first chapter followed by a light practice that demonstrates the fundamentals of Ashtanga yoga. The evening will establish a relationship between yoga philosophy as presented in the Yoga Sutras and the practical methodology of the Ashtanga System. 9:00 – 11:30 am An introduction to the prerequisites for a successful sadhana as presented by Patanjali in chapter two followed by a Led class. 1:00 – 4:00 pm “Asana Doctor” — an opportunity for people to ask questions about practice pertaining to particular asanas, injuries, adaptations, yoga mythology, and philosophy. 9:00 – 11:30 am An introduction to Second Series and an introduction to Pranayama.